Work on the 10-story 171-key AC Hotel by Marriott Fort Lauderdale Beach that Key International acquired in 2016 as three adjoining parcels, began on Tuesday. The more than half-acre project site is located steps from the beach at 3029 Alhambra St.
A rendering of the AC Hotel by Marriott Fort Lauderdale Beach . 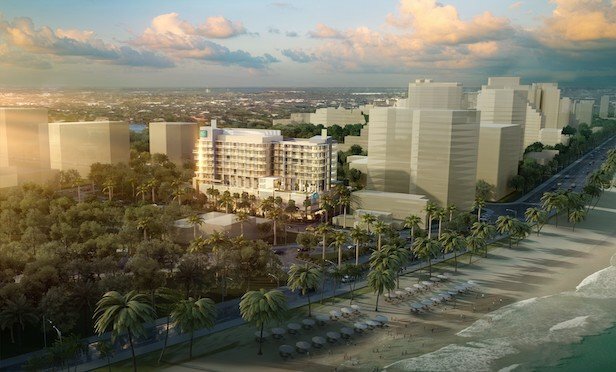 FORT LAUDERDALE BEACH, FL—Miami-based real estate investment and development firm Key International has broken ground on a new AC Hotel by Marriott in Fort Lauderdale Beach, FL.